This book draws on a wide range of studies of collective conflict and the policing of crowds and social movements to provide an understanding of the causes and management of public disorder. It seeks to describe and explain the processes by which the police interpret and respond to instances of public disorder, to account for variations in their strategies and tactics, and to identify the conditions in which police interventions (or inaction) may serve to enhance or reduce the potential for wider confrontation. In addition to providing a penetrating review and critique of relevant theory, the author employs a combination of existing studies and first-hand research to explore the lessons, both practical and theoretical, of recent examples of British and American urban disorders, the policing of worldwide anti-globalisation protests (such as the British G8 protests of 2005), and the activities of British football fans abroad between 1990 and 2006. 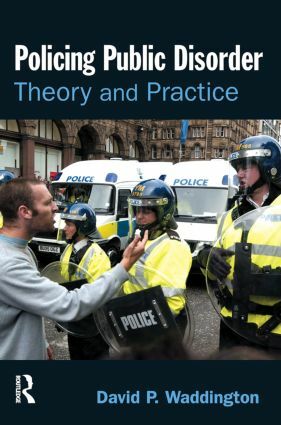 These case studies are brought together to provide an engaging and sharply focused explanation and evaluation of contemporary police methods for avoiding or controlling public disorder. Policing Public Disorder will be essential reading for anyone with an interest in policing, crowd behaviour and issues around public order and disorder.